The heart of a pig may soon beat in a human chest. Sheep, cattle, and mice have been cloned. Slowly but inexorably scientists are learning how to transfer tissues, organs, and DNA between species. Some think this research is moving too far, too fast, without adequate discussion of possible consequences: Is it ethical to breed animals for spare parts? When does the cost in animal life and suffering outweigh the potential benefit to humans? 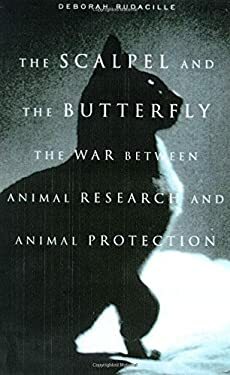 In precise and elegant prose, "The Scalpel and the Butterfly" explores the ongoing struggle between the promise offered by new research and the anxiety about safety and ethical implications in the context of the conflict between experimental medicine and animal protection that dates back to the mid-nineteenth century. Deborah Rudacille offers a compelling and cogent look at the history of this divisive topic, from the days of Louis Pasteur and the founding of organized antivivisection in England to the Nazi embrace of eugenics, from animal rights to the continuing war between PETA and biomedical researchers, and the latest developments in replacing, reducing, and refining animal use for research and testing.